Six years ago, Leea Kimble noticed a stray dog hanging out near the auto dealership she worked at. For nearly two weeks she watched as the cunning mutt sneakily extracted food from animal controls traps. 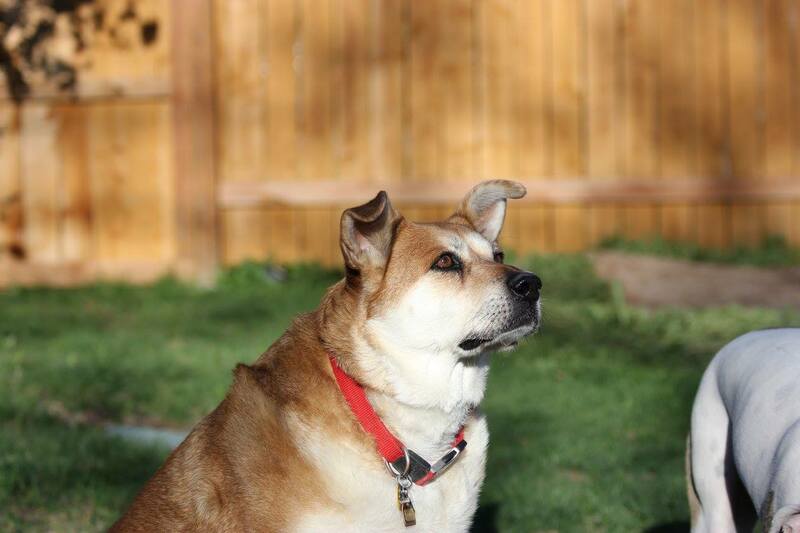 One day that mutt decided her time being homeless was over, and approached the employees at the Denver car dealership. Bridget quickly became a major fixture in Leea’s life. The 70lb Chow and Shepherd mix was loved around the office and was referred to as the work mascot. Bridget embraced Leea’s active lifestyle and accompanied her on daily 5 – 10 mile runs, enjoying all the engaging features of the outdoors. 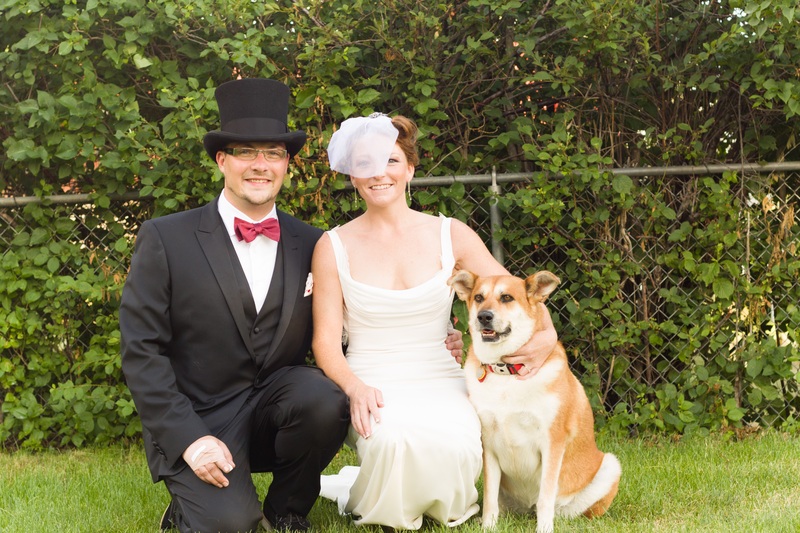 The duo’s family eventually grew larger as Leea met her soon to be husband Jeff, whom Bridget welcomed with open paws. 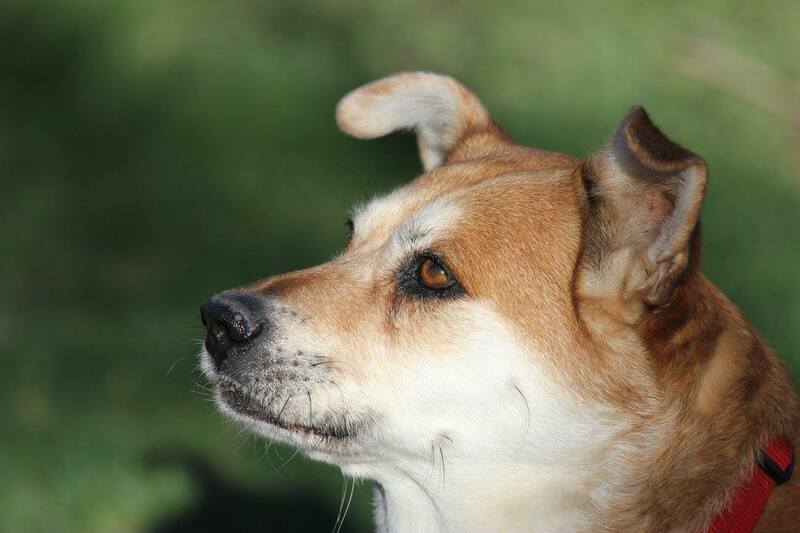 However, Bridget’s lifestyle underwent a drastic change when the energetic canine began to suffer from health issues. The family decided to extend their pack in 2014 by bringing home another dog named Jenkins. 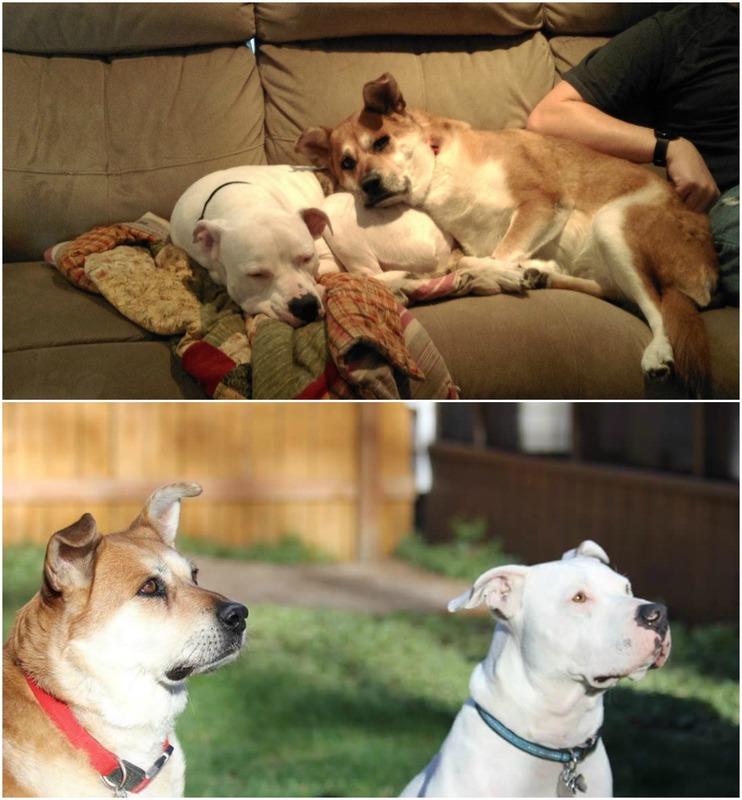 After a rough start, Bridget grew into her elder role, helping the younger pup learn the rules of the house and molding an inseparable bond. Bridget and the Kimble’s life had come together and grown into an amazing family, but little did they know, devastating news was looming. 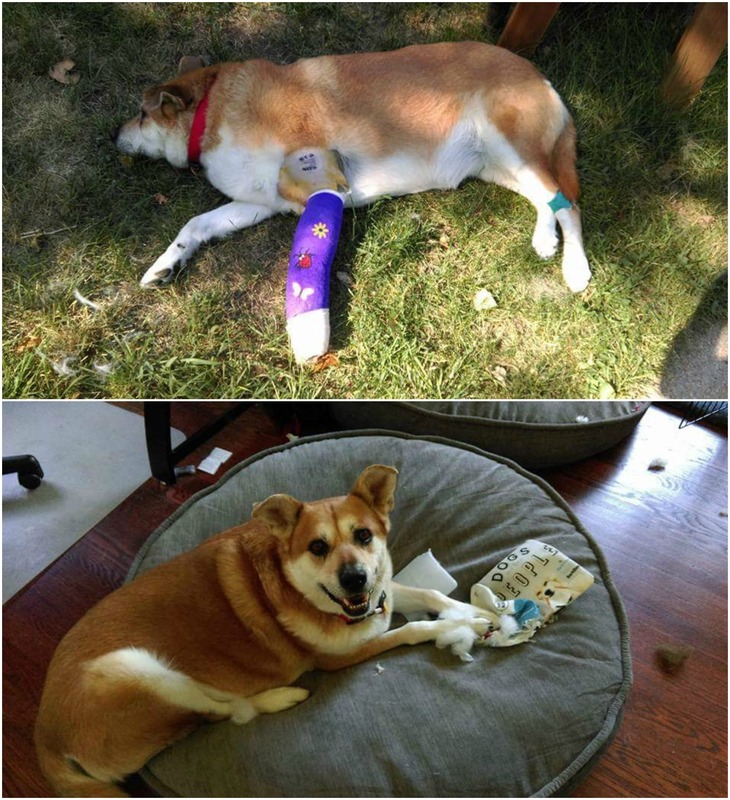 Last July, Leea noticed that Bridget had developed an odd limp and took her to the veterinarian for a check-up. Bridget had suffered from hip issues in the past and Leea was concerned that she was having pain in her joints. Upon their return to the office, the veterinary staff took X-rays of Bridget’s legs and made a grisly discovery. Bridget had a massive tumor on one her legs and was suffering from Osteosarcoma, a commonly fatal type of bone cancer. A couple days later, the Kimble family took Bridget to a canine oncology specialist, and within a week Bridget was in surgery to remove the tumor. Not only was the surgery a success, but the team was able to extract the tumor without needing to amputate Bridget’s leg, which is often required in similar cases. Within weeks of her surgery Bridget began a chemotherapy plan that included numerous sessions of Intravenous Fluid (IV) based sessions. As of today, Bridget is nearly done with her first rounds of chemotherapy. Soon she will move away from IV treatments and into a more comfortable pill based treatment. While the treatment has prevented the disease from spreading to her major organs, Leea knows that the cancer will eventually prevail. You can help support pets like Bridget throughout November during National Pet Cancer Awareness Month by sharing this story with the #CurePetCancer. During the Month of November, Nationwide will donate $5 to the Animal Cancer Foundation for every picture, story or post on Facebook, Twitter or Instagram using #CurePetCancer. Visit http://www.curepetcancer.com to find out how you can raise awareness and $30k for cancer research.